This is the text of a speech which Dr. Kennedy delivered in the Free Presbytery of Dingwall. Instrumental Music in the Free Church. THE first clause of the overture refers to the principlelaid down in the Confession of Faith, according to which the mode of publicworship should be regulated. That principle is, that nothing should be introduced into the mode of worship which is "not prescribed in the Holy Scripture." Other churches act in this matter on the principle, that all is lawful in the way of worship that is not specially forbidden in the Word of God. A very little consideration will suffice to show that action, in accordancewith one of these principles, must be very different from action regulated according to the other. And it is quite plain that, as to the mode of New Testament worship, we must find the directory in New Testament Scripture, since the Old Testament Tabernacle and Temple worship, of which alone an Old Testament directory is given, being symbolical, was altogether laid asideat "the time of reformation." If all not expressly forbidden in the New Testamentwere actually introduced into our mode of worship, what a strange medley it would become! Dancing is not expressly forbidden any more than the use of instrumental music in the service of praise, but surely this does not make such a performance a lawful part of the New Testament worship. True, a good and necessary inference is binding with as much force on the conscience as a specific statement, but in this case the good and necessary inference must be drawn from the New Testament. And it is as difficult to draw such an inference from its teaching in favour either of music or of dancing, as it is to find a specific statement to justify them. Instrumental Music in Old Testament Times. In the next clause of the overture, reference is made to the use of instrumental music under the Old Testament dispensation in the service of praise. It is undoubtedly true that it was used with divine sanction thenin the service of the Temple, and that there were instances of its being used in the service of praise before the ritual of the Temple was arranged.To the first recorded instance of the use of an instrument in praising theLord, no one, I think, will be disposed to go back for a precedent which is of binding force. I refer to the use of a "timbrel" by Miriam and all the women who were her attendants, all dancing while they played. The next instance of the use of sounding instruments was that introduced by Moses under divine direction, when he commanded trumpets to be blown to convene the people of Israel, and to guide their movements in their march through the wilderness. But besides these uses of the trumpets, there was one other, the only one that had the character of a religious service. They were to be blown over their "burnt offerings and over the sacrifice of their peace-offerings," this use of them, in a religious service, closely associating them with the sacrificial work of the priesthood. In the next instance of the use of instruments there is nothing which can be regarded as a guiding precedent. The prophets are returning from their place of worship, and are preceded by a company of musical performers. In this case we have nothing that can be regarded as a binding or a guiding precedent. The use of instruments by the prophets is not associated with public worship, but with the prophetic charisma, which was communicated for inspirational and sanatory uses. There are instances recorded of this accompanying influence. But the music was an emblematic accompaniment of prophetic work, an emblem of the mode in which the work of prophets may take effect on the souls of men, and we have emblematic specimens given us of the effects produced. To this we cannot look back as an example to guide us. Neither in the case of Miriam's use of the timbrel, nor in that of the prophetic music, was there an association of the musical performance with stated public worship. Coming nearer to the time when the Temple worship was arranged, we find David dancing to the music of instruments on the occasion of bringing up the ark of the Lord. here, again, we have instrumental music associated with the ark and with sacrifice. For "it was so, that when they that bore the ark of the Lord had gone six paces, he sacrificed oxen andfatlings. And David danced before the Lord with all his might, and David was girded with a linen ephod. So David and all the household of Israel broughtup the ark of the Lord with shoutings and with the sound of the trumpet. "Thus the only two instances of the use of sounding instruments in public worship which we meet with in the Old Testament previous to the arrangement of the Temple ritual, the musical performance was linked to sacrificial work. But the time came when a new and splendid edifice was to be built as the future scene of the typical service of Israel. The plan of that building was given to David by God, and regulations were also given him as to themode of conducting service there. To a certain extent there was a divinely sanctioned use of sounding instruments before. Moses, by divine direction, ordered trumpets to be blown over the sacrifices. But, in view of new circumstances, there was an arrangement for a clearer peal of "the joyful sound" from heaven,and for a more pronounced expression of praise from Israel. Messiah's ancestor and type was established on the throne of Israel, and his son was to erect a splendid place of worship, and under his reign the nation was to rise toan eminence never hitherto reached in respect of prosperity, peace, and power.This was to symbolise the glorious reign of the Son, who was also the Lord, of David. We cannot, therefore, wonder that David was appointed to be thePsalmist of Israel, to give a more pronounced form to the service of praise,when the worship of God would be conducted in the Temple in the midst of exalted Israel. We must be careful to distinguish between the Tabernacle and the Temple service, for not only was there a difference between the places of worship - though the plan of the one, as surely as that of the other, was given by God, - but there was also a new arrangement of the service to be conducted in the building which superseded the tabernacle. Not that there was any new element introduced into the service, but there was more prominence to be given to one part of the service in accordance with altered circumstances, and there was to be a more definite arrangement of "the courses" of the priests and Levites. But what was the intention of this appointment of the use of instrumental music through David? There was indeed a special revelation by God for hisguidance, and there was a change introduced. But there was nothing essentially new brought by that change into the worship of God. There was given, through Moses, a Divine command that trumpets should be used in connection with the sacrifices, and that these should be blown over the sacrifices by the priests.It seems to be but an extension of this that was effected by divine direction through David. The blowing of trumpets by the priests was not to be discontinued, but the Levites were appointed to accompany the use of the trumpets by themusic of more tuneful instrurnents. This, with the preparation of psalms, was the great work, in arranging the Temple service, of "the sweet Psalmist of Israel." 1. That the instrumental music introduced by David, as surely as the blowing of trumpets required by God through Moses, was entrusted to ecclesiastical officers, set apart for conducting the typical service of the Temple. True, the priests alone blew the trumpets, whereas the musical service, introduced by David, was entrusted to a "course" of the Levites. But though these latter were not permitted to take any immediate part in sacrificial work, their whole service was auxiliary to the action of those whose appointed function that was; and thus their work was as thoroughly part of the typical service of the Temple, as was that of the priests. 2. The musical performance of the Levites was as thoroughly associatedwith sacrificial work, as was the blowing of trumpets over the burnt-offerings by the priests. This appears from all the accounts given us of this service, and, very distinctly, in what is told of the form of service as revived in the days of Hezekiah. In 2 Chron. xxix. 27, we read that it was "When the burnt offering began, the song of the Lord began, also with the trumpets,and with the instruments ordained by David, King of Israel. And all the congregation worshipped, and the singers sang, and the trumpeters sounded, and all this continued until the burnt offering was finished;" - by "the singers" being of course meant, those referred to as singing "the song of the Lord," with the instruments ordained by David, as distinguished from the priests who blew the trumpets. 3. There was evidently more intended by the introduction of instrumental music, than that it should be an accompaniment, or an auxiliary, to the praises of Israel. The priests who blew the trurmpets over the sacrifices told something from God to Israel, as surely as they expressed the joy of Israel to God.The gladness thus expressed by Israel was a response to the joyful sound from God. And it is expressly declared, that the music appointedby David was intended to be a prophesying - a shewing forth of some message coming from the Lord to His people. This is thrice told us in 1 Chron. xxv.1-3. And in 2 Chron. xxix. 27, the music of the Levites is called "the song of the Lord," as a joyful sound, from Him to Israel, in response to which an expression of gladness and thanksgiving ascended from Israel to God. And it is remarkable that, on the occasion of the great service in Hezekiah's time, it was after the trumpets and the musical instruments had ceased to sound, that "Hezekiah the king, and the princes commanded the Levites to sing praise unto the Lord with the words of David, and of Asaph the seer." It would seem as if, on that occasion at least, instrumental music was not used as an accompaniment of psalm singing at all. On that occasion the psalm-singing, did not begin till the music of the instruments had ceased. The trumpeting and the "singing" of music, with instruments, were evidently intended to typify the joyful sound "of the Gospel, in which Christ crucified" is preached, as the one true sacrifice for sin, as that is responded to in the praises of all who have believed, and to whom the preaching of the cross is "the power of God." Instrumental music in the Temple service had thus evidently a typical significance, and a place therefore among those "carnal ordinances," which were to take end at "the time of reformation." What Saith the Lord in the New Testament? Of course it is in New Scripture we must find the directory of New Testament worship. But neither in any direct statement, nor in any necessary, or even fair inference from its teaching, can any warrant be found for the introduction of instrumental music into our Church. I have never seen any, beyond two passages, referred to by the advocates of instrumental music.The one is Eph. v. 19, the other is in the Apocalypse, in which, in an allegorical description, it is said that there are "harpers harping with their harps" in heaven. These are just the strongest passages which can be cited in proof of the use of musical instruments in the service of praise having been abolished. For surely they teach us that only the spiritual meaning of such a mode of service is to be continued. In Eph. v. 19, the word rendered "making melody" is one that was used in the Old Testament times to describe one mode of eliciting music from an instrument, and this is associated with the "heart." There, and there alone, is the psalm now to be. The accompaniment of the singing is to be the gladness of a broken heart. And surely the passage, or rather passages, in the Apocalypse teach us to dissociate from New Testamentworship all that was merely typical in that which was of old, and that onlythe spiritual import of the symbols is to be retained. It is unnecessary to proceed to prove what no one will deny, that the example of Christ and the practice of the apostles, and of the early Christian Church, are in favour of the entire exclusion of instrumental music from the service of praise. Such is the teaching of the New Testament as against the proposed innovation. And there is more than this to be found there bearing on theservice of praise. Singing with the lips is again and again declared to bethe prescribed mode of rendering praise, and the only accompaniment, about which we are instructed to be careful, is the thankfulness and spiritual joy of a true heart. This is the plain teaching of the New Testament regardingthe mode in which the service of praise should be conducted in the New Testament Church. When was Instrumental Music Introduced? The fourth clause of the overture refers to the time when instrumental music was first introduced into the Church. All are agreed in connecting this with the seventh century, and with the action, at that time, of the Popish Church. And it is well known that at that time that Church, in respect of doctrine and practice, had become exceedingly corrupt. It then required centuries of decay to produce the state of feeling out of which the cravingfor instrumental music arose. It seems that the Free Church required but a generation to produce it. As it sprung at first, so springs it now. Not true advancement, but very real declension, can account for the desire, at whatever time, and in whatever church it arises. A fungus grows out of decay, and it will soon add to the corruption out of which it sprung. Thus it is as to what is propagated by a spiritual decay in a church. This craving for liberty to have the use of organs arises now, as it did at first, from the decay of desire to please God in our worship; and to expend care on making the service of His house pleasing to tastes that are wont to be gratified by mere worldly amusements, is the certain result of such a decay. Let this movement for organs be disguised in any variety of ways, this is its origin, and according to its spring will be what it brings into the Church, which its stream will overflow. Instrumental Music Disallowed for Three Centuries by the Presbyterian Church in Scotland. I am not to plead that the use of instrumental music is wrong merely because it was repudiated by our fathers, but I certainly would plead that a departure from the views and practice of such fathers is not likely to be right: Their attention was directed to the subject of instrumental music, and it has been abundantly proved that they regarded it as a relic of Popery, and kept the Church entirely free of it because they regarded it as a corruption which would inevitably defile it. One cannot help comparing the Knoxes, the Melvilles, the Hendersons, the Guthries, the Loves, the Thomsons, the Chalmers, the Gordons of older times, with those men who now are trying to introduce this corruption into our Church, and the result is, and must be, the persuasion that "the old wine is better" - that the old are "the good paths." What havewe now, in respect of intellect, or of godliness, or of wisdom, that can possibly accredit, or make even respectable, any movement that differs in its direction from the practice with which these worthies of other days are associated. A long pause, at least, is due to these men of God ere we venture to differ from them. We have reaped in blessing the fruits of their labours. What is likely to be the harvest to be reaped by those who come after us, if views, and practices, in opposition to theirs are to obtain the ascendency? I protest, in the name of all the grand Scottish worthies of the three past centuries, against being drawn into the adoption or tolerance of an innovation against which they unanimously revolted. State of Feelings in the Free Church. It is undeniable that a large proportion of the ministers, elders, deacons, and members of our Church are very decidedly opposed to the introduction of instrumental music. It is equally true that among them will be found some of the most devout and intelligent within the pale of our Church. So opposed are some of these, that the proposal to sanction the use of organs has already raised in their consciences the question, whether, in the event of the innovation being introduced, they can any longer retain their connection with the Free Church. Triflers, who are never troubled with any conscientious scruples, may be disposed to regard mockingly the difficulties of such minds, and may not be indisposed ruthlessly to drive the wheels of their ill-considered movement over all their convictions and feelings. But is it safe for the Church to do so, if so be that what they propose is, as its advocates insist, a matter of no importance? If this is a fitting description of it, can it be right, for the sake of such a thing, to endanger the peace and unity of the Church. And if the thing desired be of doubtful propriety, still more inexcusable would it be to outrage the feelings of so many of the Lord's people, by thrusting it upon them. But if the desired innovation can be shown to be utterly unscriptural, what but the utmost recklessness can account for the attempt to pollute the Church by its introduction? Can the Proposed Innovation be Constitutionally Introduced? The form in which it is proposed to introduce organs is borrowed from the Established and United Presbyterian Churches. In all courses, in which these indicate a departure from the good old ways, our leaders are quite disposed to follow them. They seem disposed not to be behind these in declension, if they can only carry a majority with them. What has been borrowed from these Churches, along with their craving for sensous worship, is the idea of introducing it, by giving liberty to congregations to resort to the use of instrumental music if they so incline. And this idea is to be acted on by a Presbyterian Church! Kirk-sessions are to be allowed to determine the mode of conducting the service, instead of continuing bound in their action, bearing on public worship in the congregations over which they preside, to take care that the uniformity and purity of worship be preserved! Let the Church first pass an Act, declaring the use of organs to be legitimate, and let this pass through the Barrier Act, then, but not till then, and inthat form and in no other, can the Church say to the kirk-sessions, "As to instrumental music, you can do just as you and your congregations incline. "That is the only Presbyterian way of securing what is aimed at. But it is not constitutional, in this or in any other way, to introduce such an innovation, unless there first be a revision of the Confession of Faith. It is quite true that there is no explicit prohibition in express terms of instrumental music in the Confession of Faith. But how is this to be accounted for? Is it because the Westminster divines regarded this matter as of no importance - as something about which men might agree to differ? Or was it because it was a point as to which there was a difference of opinion among them? It matters not what the state of opinion and the feelings of others may have been, we know well what were the views of our Scottish Commissioners in that Assembly, and of the Church whose representatives they were. How gladly the former sent news, from London, of the removal of organs from churches in the metropolis, and how gladly was the news received by the General Assembly in Scotland. And if neither then, nor at any subsequent period, was there any specific deliverance given on the subject of instrumental music, it was because it was regarded as buried in the same grave with other popish abominations. It was not a living question about which to concern themselves, and therefore it was ignored. But the Confession does give a deliverance as to the mode of rendering praise, which exactly corresponds with that of the New Testament. It expressly declares that the legitimate mode of praising the Lord in public worship is by the singing of psalms. This, and no more in the outward form of praise is, according to the Confession Of Faith, legitimate. And surely there cannot be the introduction of instrumental music, in any way, without a breach of their ordination vows on the part of those who are responsible for the innovation. This is so plain that the only way of meeting this objection is to insist that no important change would beeffected, no new element introduced, by the proposed innovation. This is the only way in which an attempt can be made to justify the movement against which I propose that we overture the Assembly. And in what way may we expect an attempt to be made to show that there is no new element imported into worship by the adoption of organs? Most likely the advocates of liberty to use organs will insist that, as musical instruments do not supersede singing, but rather aid in the due performance of it, and that as all that can be done to make the service of praise, as a musical performance, as perfect as possible is legitimate, there can therefore be no valid objection to the use of an organ. But is it really the case thatthe organ is an aid to vocal praise? Even the Church from which the use ofinstrumental music came dispenses with it when, in St. Peter's, there is to be a special musical treat to attract and to gladden those who are sensitive to the charms of music. And is the singing improved by an organ where the latter is used? I fearlessly answer, No. In nine cases out of ten the singing is superseded, or almost quenched, by the instrument. I once attended service on a week day afternoon in St. Paul's, where there were both an organ and a choir, with solo singers, employed in the service of praise. The audience were listening as mutes while the musical performance was going on, and it was utterly impossible, if one yielded to the impression which the service was intended to make, to rise above the feeling which he might have at a concert. From this specimen of formal sensuous worship I passed to the Metropolitan Tabernacle, and what a contrast to the heartless melody of the Cathedral was the burst of song which warm hearts gave out from the lips of thousands who joined in the service of praise. I felt, then, that where the Lord's presence was enjoyed, and broken hearts, touched by gospel grace, gave "the calves of the lips" to God, organs would not be craved, and might well be dispensed with, and that the craving for what was sensuous, in the form of worship, could only arise where the Lord was absent and carnality prevailed. It is with the impression, produced by the experience to whichI have referred, still fresh in my memory, that I think of the state of feeling in our Churchwhich the cry for organs expresses. But even were we to admit that the singing would be improved by the organ, is this enough to justify the use of it? If all that was required to render praise acceptable to God was that it be basically excellent, then I could conceive that it would be an object worthy of a church's care and effort to make it perfect. But if, just in the measure in which care is expended on the mere musical performance, are men prone to forget what is claimed by and due to God, then a church that takes pains to gratify the sensuous crave of so-called worshippers acts not only unwisely and inconsistently, but in a way that is cruel to her members and dishonouring to her God. Of course the advocates for the use of organs will expend their whole strength in trying to make good the position that, as this is a matter of no great importance, there ought to be a concession by the Church of liberty to her congregations either to adopt or dispense with it. The man who is anxious to introduce a rending wedge is careful to make the point of it as sharp as possible; he is careful to attenuate before he inserts the edge. He does so because there is much to follow the edgewhich he desires to introduce, and because it is intended to sever what waspreviously joined. Such is the policy with which the movement for instrumentalmusic is conducted. They who adopt this policy do not desire to split the Church, but they do desire to sever her from the antecedents of a past whichis marked and brightened by a blessing from on high. This was the work ofso-called Unionists in our Church since 1863. They began the wedge-driving then. They attempted to sever us from our Claim of Right, and from our Confession, to secure a union with a body who despised our Disruption position, and who recently have seriously altered our Confession. They were not averse to inserting the wedge to separate the secular from the religious in education, and they acted thereafter as if they desired to sever the Word of God fromthe believing reverence of the people of Scotland. This they did in their introduction of hymns on the same footing with the inspired Psalms of David, and in their contemptibly weak and sinfully undecided action in connection with reckless assaults upon the Word of God. We cannot wonder that hands so practised in wedge-driving should show some skill, at this time of day, in that kind ofwork. But it would indicate great blindness if one failed to see the fallacy of holding that the use of instrumental music is a thing of no importance. For this was deemed of such importance in heaven, in Old Testament times, that two distinct revelations regarding it came to the Church on earth, one through Moses, and another through David, and both these were supplemented by inspired declarations through several prophets. It is unnecessary, here and now, to proceed to prove this. And specially important does this appear, when we consider the design to be served by the use of the instruments which are frequently called "the instruments of God." They were types whereby God spake to man regarding His Lamb and His Gospel, as well as means by which,in a typical form, and in the hands of the Levites as representing Israel, the responsive praises of His people came up before the Lord, who spake to them in joyful sounds over the sacrifices. You cannot dissociate any use of instrumental music that was sanctioned by God in connection with public worship from a typical service, and the more persuaded we are that it was sanctioned under a former dispensation, the more manifest will it be that it is one of these carnal ordinances which, at "the time of reformation," came to an end. It is not from the Old Testament that we can see that this is a matter of no importance. Even were it true that New Testament Scripture is altogether silent regarding the subject, that very silence is most expressive. If the Lord was so careful of old to secure that the use of instruments should be employed in the public worship of His Church, and if it was designed thatit should be continued, would the New Testament not contain somewhere distinct intimation of this? And if singing alone is declared to be the mode of praise, is it a thing of no moment whether men add to this or not? And if, in the New Testament Scriptures, we are informed of what the example of Christ was, and what the practice was of the Apostles, and of the early Christian Church, is it of no moment whether we differ from these or not? That the use of instrumental music in the service of praise in New Testament times was a popish invention, no one who has studied the subject will deny. This, of itself, suffices to make it a matter of importance whether we adopt or refuse it. Can it be a matter of no moment whether we conform to the example of Christ, or to the practice of a degenerate Church? We have the former distinctly set forth in the light of Scripture, we have the other as an historical fact before us, who will say that it is a matter of indifference which we should choose to follow? The use of instrumental music was deemed of importance at the time of the Reformation in Scotland, and was cast aside as one of the abominations of popery; and those who thus treated it were careful to secure that vocal music should be "decently" performed. To the stove, and not to an organ-gallery, our Scottish reformers relegated all the Babylonish instruments of music by which the itching ears of superstitious Romanists were wont to be tickled. It was deemed a matter of importance at the time of the Westminster Assembly, by our Scottish Presbyterians. They rejoiced in any symptoms that appeared in England of a desire to get rid of instrumental music in churches, instead of desiring, as some Scottish Presbyterians now do, to import the abomination to this side of the border. It was deemed of such importance by the godly ministers, elders, and people of later times, that it was to them abhorrent to think of theuse of it being for a moment tolerated within their Church. They were notcalled to speak or act, in any pronounced form regarding it. They had simplyto leave it in the burying-place of corruptions, to which their fathers, of blessed memory, had consigned it. 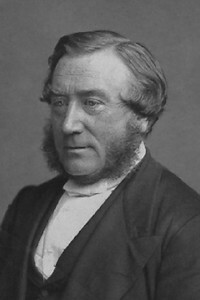 It was regarded of such importance by Dr. Robert Buchanan, that he declared that if the Presbyterian Church in England adopted the use of instrumental music in the service of praise, the question would be raised as to whether the Free Church could remain in the friendly relation to that Church which had previously subsisted between them. It was regarded as so important by Dr. Candlish that he said, "I believe that this is a question which touches some of the highest and deepest points of Christian theology. Is the Temple destroyed? Is the Temple worship wholly snperseded? Have we, or have we not, priests and sacrifices amongus now? Is the Temple or Synagogue the model on which the Church of the New Testament is formed? Does the Old Testament itself point to any thing but the fruit of the lips, as the peace-offering or thank-offering of Gospel times? Is there a trace in the New Testament of any other mode of praise? For my part I am persuaded that, if the organ be admitted, there is no barrier in principle against the sacerdotal system in all its fullness - against the substitution in our whole religion of the formal for the spiritual, the symbolical for the real." It was regarded of importance, as I had good reason to know, by the General Assembly of 1870, for when I then declared my persuasion that the crave for hymns would, in a few years, be followed by a cry for organs, an indignant howl was raised by the very parties who now verify my anticipation, against the idea of such an abomination being ever introduced into the Free Church. And so important and undesirable did it appear then to Dr. Adam, that he pled for hymns as the best way to shut out any chance of such a thing occurring as the introduction of the use of organs. "Mr. Kennedy," he said,"had talked about a liturgy, an organ and things of that kind, as likely to come in the train of this movement." But "this," he added, "was a proposal to improve their public praise, and by doing this, they would destroy anycravings for novelty of the description referred to." But the man who then regarded the crave for organs as a thing they should desire and labour to destroy, now deems it a thing which it is proper to gratify. The utmost credit do I give him for honesty in changing his opinions and his policy, but he cannot expect credit for being a discerner of the spirits, far less for being a prophet, when, within a few years, he himself has falsified his own predictions. It is regarded as something of importance by the present leaders of the Church, when they would, by inaugurating such a movement, draw toit, from other matters, so much of the attention of their Church, and are prepared to prosecute it in the face of remonstrances from so many of the most godly members within her pale, and at the risk of dispeace and disunion. It ill becomes those who act thus, to represent as a thing of no importance, the cause which they in such circumstances advocate. But their movement is wrong, and their plea is false. It is of importance as a gross inconsistency with the spiritual nature of the New Testament dispensation. Look at the arrangements made for worship by the Founder of Christianity, look to the practice in public worship of the early Christian Church, so far as we can trace it in the light of Scripture - what more incongruous, with its simplicity can there be, than that which is now proposed to be associated with it? The man who sees not the incongruity has great need of having his eyes anointed. But it is vain to argue with the blind, regarding what a clear eye alone can appreciate. One may pity, but cannot remove blindness. I cannot conceive how one can, in faith, enter one Synagogue congregation after another, following Jesus, reach one hill-side gathering after another, and realise Jesus as there, and then join the little assembly, in the upper chamber, where Jesus was present, and thereafter visit the worshipping assemblies of the early Christian Church, and mark the utter absence of all that was demonstrative and sensuous in the mode of worship, appointed by the authority and sanctioned by the example of the Lord, and by the practice of those who believed in His name, and then arise to propagate a movement for the introduction of organs into a church whose form of service was hitherto according to the pattern, thus so fully accredited - the gift, to His church, of Him who declared, that they who "worship the Father must worship Him in spirit and in truth."